History celebrates George Washington as the leader of the American Revolution and the father of his country. But what has gone previously unexamined is Washington&apos;s life as a twenty-two-year-old lieutenant colonel who led four hundred American militiamen against a bigger, more experienced French army and paid a high price. 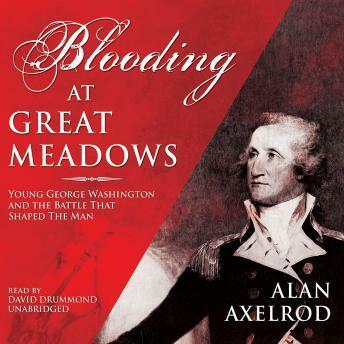 Not only did Washington lose over a third of his men but the Battle of Great Meadows was also the spark that ignited the French and Indian War. Yet in the midst of this bitter battle, Washington forged the intellectual, visceral, and spiritual aspects that enabled him to achieve all that he did in the years that followed. In this never-before-told account, historian Alan Axelrod examines the geopolitical, financial, and intensely personal issues that shaped the leader he would become.